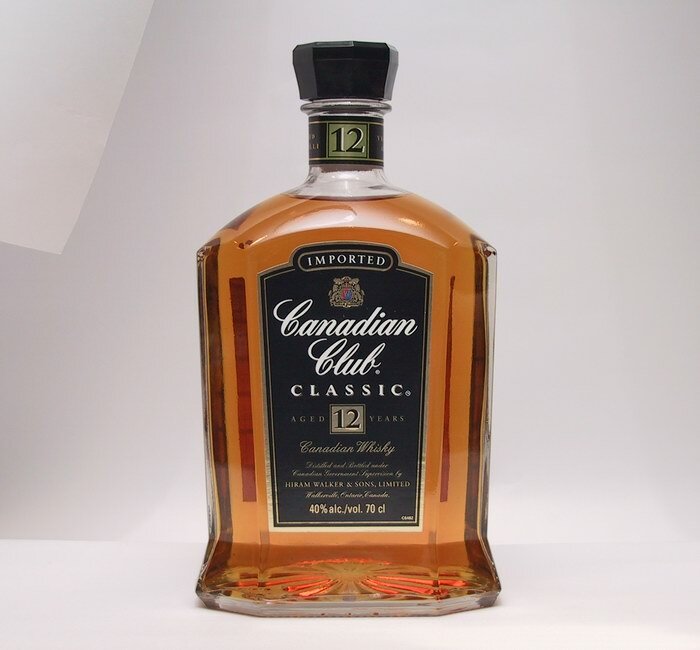 If you believe that Canadian Club was your father’s whiskey, think again. To be sure, he probably drank it, but that doesn’t mean that the appeal of Canadian Club is old-fashioned or dated. It works brilliantly as a component of classic cocktails, and appeals to anyone who is craving both flavor and affordable luxury. Strangely enough, like the late Rodney Dangerfield, this remarkable whiskey gets very little respect in the modern era. Not so long ago, it was the most popular whiskey in the world---six million cases were purchased worldwide in 1964, with four million sold in the U.S. alone. 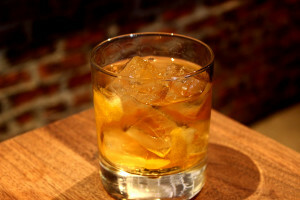 Today, many people in the industry refer to it as “brown vodka,” a term of derision. For one thing, a perfect storm hit the U.S. liquor business. The popularity of wine exploded, the rise of vodka eroded the appeal of brown spirits, and much of what remained of the category was dominated by single malt Scotch. When the cocktail culture started booming again in the 1990s, the mixologists who were trying to reestablish the pre-Prohibition cocktails were seeking the greatest possible amount of flavor. Bourbon and Rye were higher in proof, and gave them something that made their customers sit straight up and whistle. The hallmark of Canadian Club is smoothness, balance, harmony and elegance. Hiram Walker, the founder of the brand, believed that producing whisky was similar to making a stew: Over a long period of time in cask, the distillate whiskies (corn, rye, barley and barley malt) would marry together and create a spirit that was greater than the sum of its parts. He noticed that if he blended them together before the process of barrel aging started, they would blend together into something that was richer and more complex. 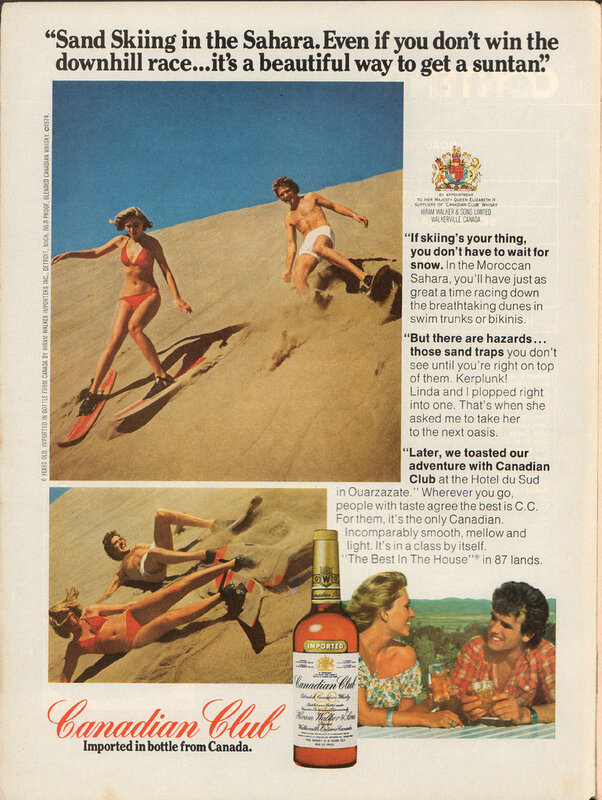 Pre-barrel blending is still the hallmark of Canadian Club today. Virtually any Canadian whiskey is distinguishable from Bourbon or Rye by this subtlety and nuance. Davin de Kergommeaux, an expert on the subject and author of the blog www.canadianwhisky,org, describes the difference as being similar to the distinction between French and California wine, or between classic literature and pop literature. It’s not easy at times to bring this point across---it feels eerily similar to a Burgundy aficionado discussing wine with fans of New World Cabernet. The irony is that bottles such as the 12 Year-Old and the Sherry Cask have no shortage of flavor. In fact, they were developed originally for the Japanese market, where consumers were demanding something heavier and more dramatic. Tasting through them can be a revelation. Premium Six Year-Old ($12): Traditionally mixed with soda, water or ginger ale for a signature highball. When sampled neat, it has a soothing nose with touches of almonds, vanilla and honey. Smooth on entry, it is pleasantly sharp and zesty on the palate, with a long, spicy finish. Reserve 10 Year-Old ($15): Deep, woody, recessed nose. Vibrant and spicy in the mouth, with hints of toffee. Big and bold, the type of whisky that would hold up well in a Manhattan. Long, assertive finish. Classic 12 Year-Old ($20): Sweet, fragrant nose with scents of butterscotch. Rich, ripe and round in the mouth, with profound flavors of coffee and vanilla. A remarkable value; compares favorably to most XO Cognac at a fraction of the price. Sherry Cask ($25): an eight year-old whisky aged in uncharred sherry barrels. Grainy, sweet nose with a hint of Mediterranean fruits. Intense, concentrated and distinctive on the palate; spicy, vibrant finish. 30 Year-Old ($200): Wonderfully expressive nose chock full of caramel, vanilla, butterscotch and baking spices. Rich on entry, almost unctuous, with a viscous texture. The mid palate is soft and gently integrated, like a great cognac, and the finish is almost endless. Created to mark the 150th anniversary of the distillery in 2008, it is available in top retail stores and international duty free shops. 1.5 oz. Canadian Club, .50 oz. Cruzan Mango Rum, 2.5 oz. pineapple juice, 1.5 oz. fresh orange juice. Shake all ingredients with ice and strain over fresh ice in a Hurricane glass; garnish with a pineapple/cherry stack. 1.5 parts Canadian Club 12 year-Old, .75 part DeKuyper Triple Sec, 2.5 parts fresh lemon juice [AU: juice? ], 5 fresh blackberries, 3 sage leaves, .50 part egg white. Muddle sage and blackberries in a mixing glass; add all remaining ingredients and shake with ice; double strain into a chilled cocktail glass; garnish with a lemon twist. 1.5 part Canadian Club 12 Year-Old, 3 whole cloves, 3 whole allspice berries, 1 lemon wedge, 1 half-moon slice of orange, .50-1.0 oz. maple syrup, steaming hot water. In a pre-heated glass mug, muddle the cloves and allspice to break up; add fruit and muddle again. Now add maple syrup to your desired sweetness, and with one-quarter of the water stir to dissolve syrup. Add CC and top with steaming hot water.